With four studio albums to their name, most notably Gold Selling, Choice nominated, Number 1 Album ‘Getting Through’ Dublin based, modern rock quartet ‘The Riptide Movement’ are renowned for their phenomenal live shows & soaring radio ready guitar rock that’s drawn comparisons to U2, Kings of Leon, Arcade Fire, Joy Division, the Clash & Oasis. 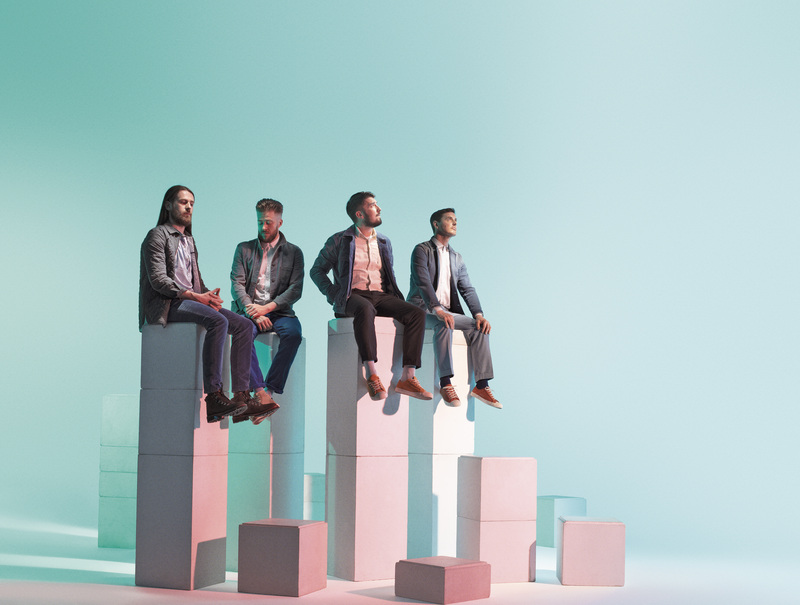 Having toured extensively throughout 2018 on the back of critically-acclaimed releases “All Works Out”, Elephant in the Room” and “Changeling”, the Riptide Movement released their environmentally conscious three part web series ‘Plastic Oceans’ in November 2018. 2019 will see the release of ‘In A Heartbeat’ (A Mix & Fairbanks Remix) on March 22nd 2019, the song is taken from their critically acclaimed fourth Studio album ‘Ghosts’, and remixed by ‘Mix & Fairbanks’ a talented Irish duo that make 80’s influenced electronic disco productions.